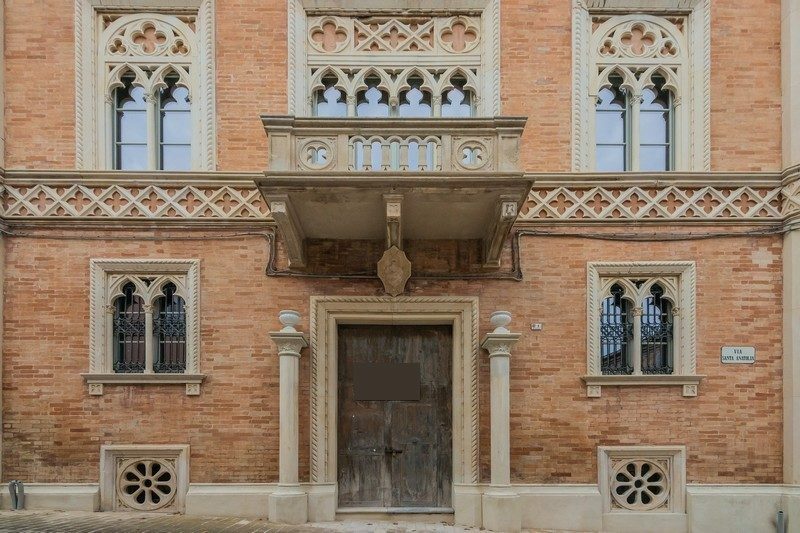 Venetian Gothic style building for sale in the historic Le Marche region. 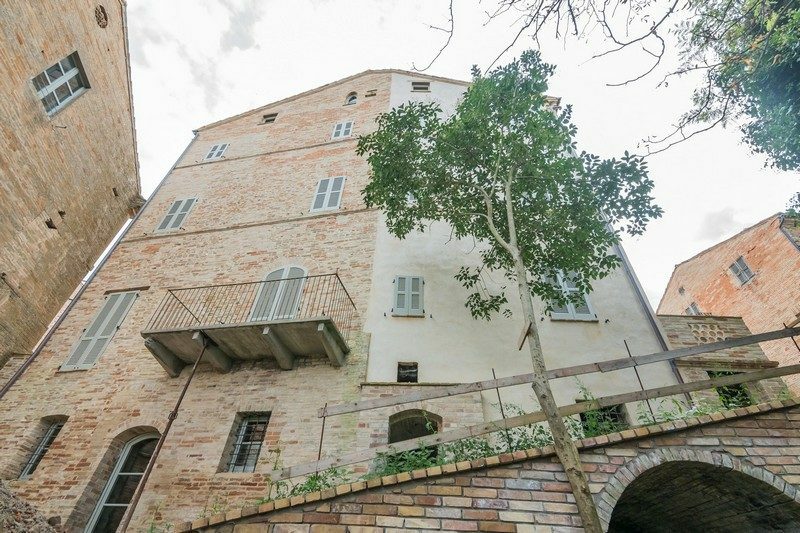 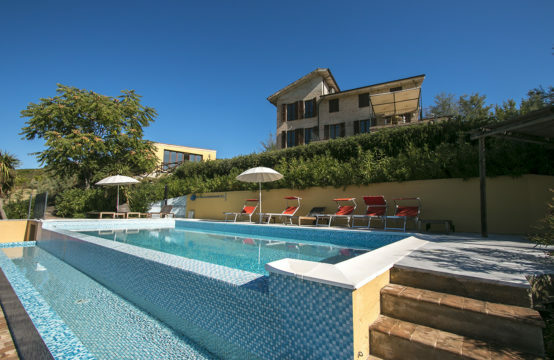 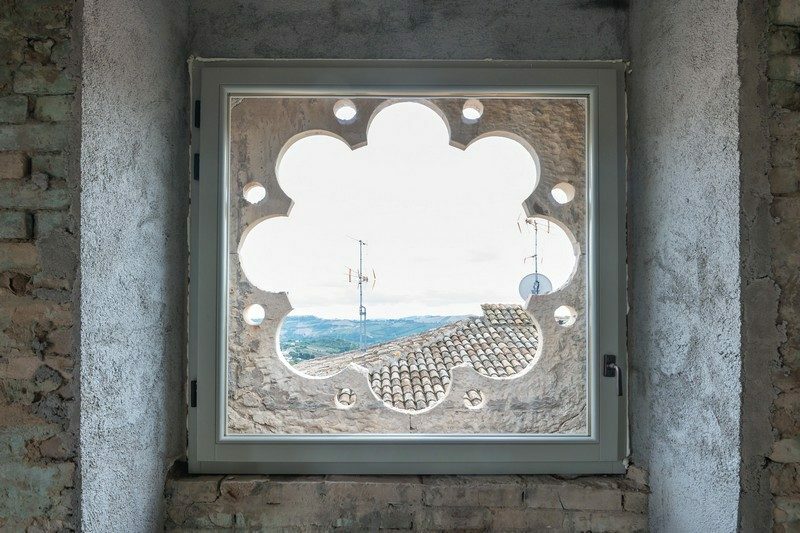 Built at the end of 19th century, with a garden and a huge roof terrace that present breathtaking views to all four corners of the Monti Sibillini and out to the Adriatic sea. 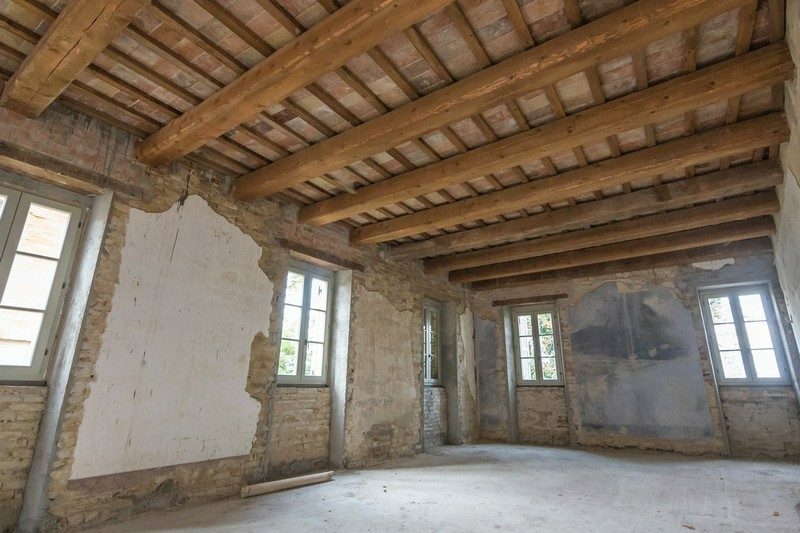 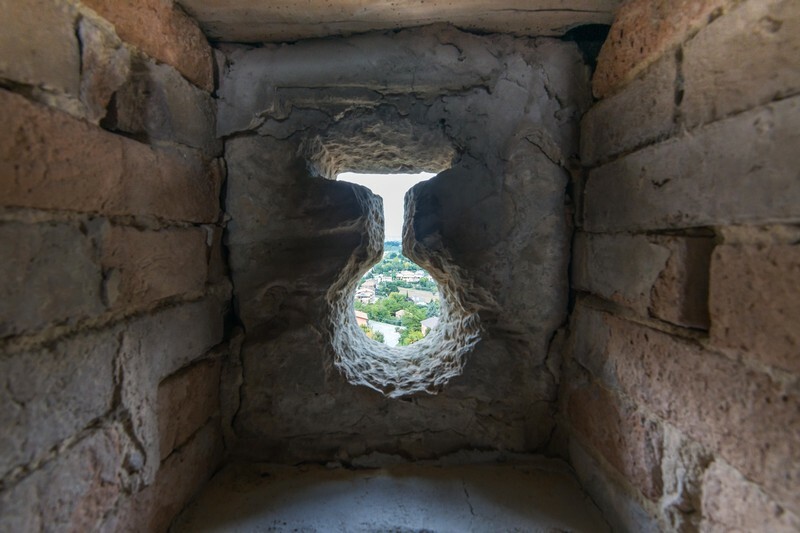 This magnificent historic building is based on foundations from the 15th century. 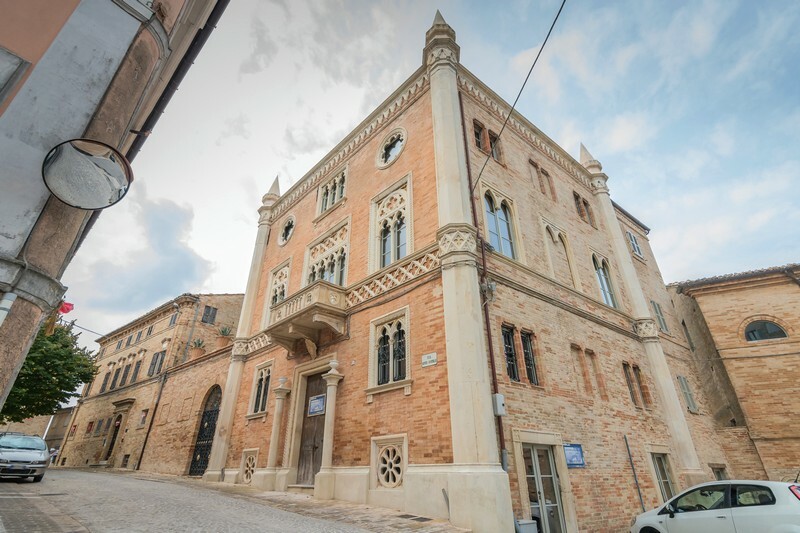 The 810m² building dates back to 1880 and is built in the Venetian Gothic style. 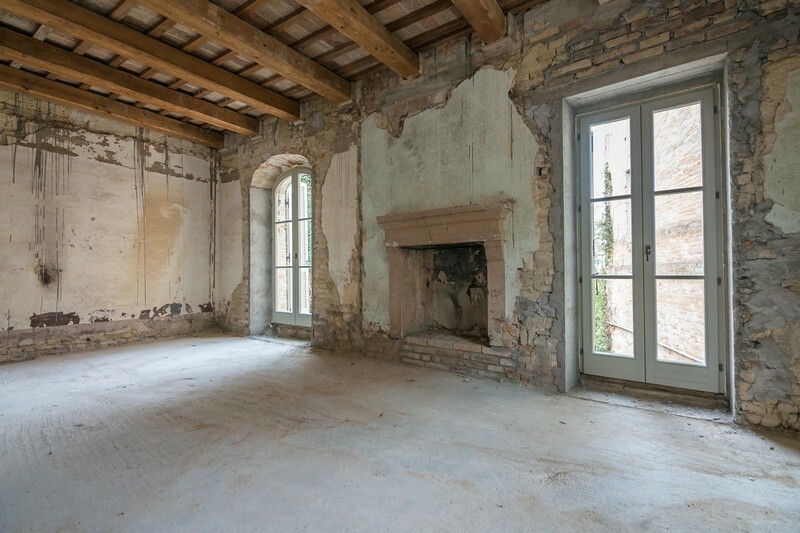 It has been completely renovated externally, but remains unfinished inside, in order to meet the needs of those who will purchase and will turn it into a single owner residence. 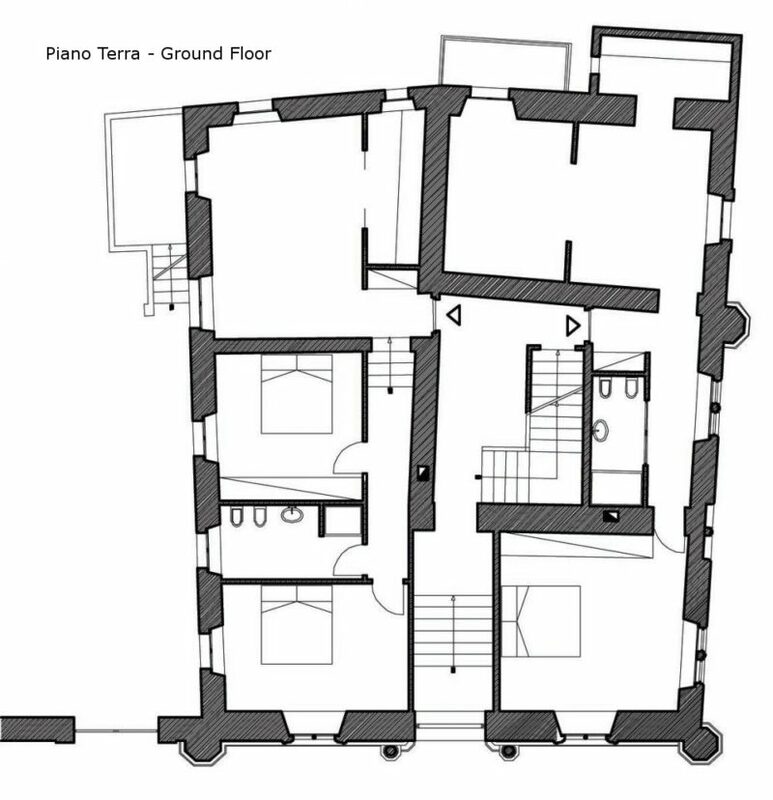 Alternatively, it could be converted into a luxury hotel or divided it into up to seven individual flats. 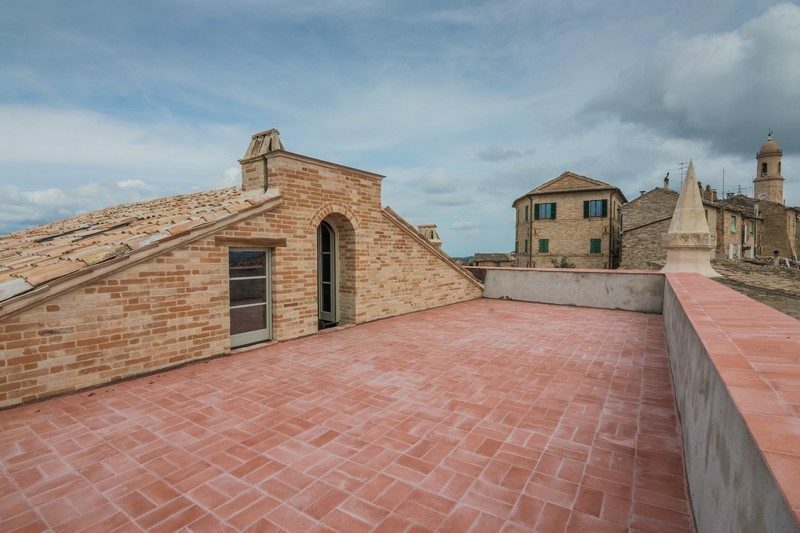 The property is unique and distinct, and in addition to being a palace of a great charm, has a very large garden and a roof terrace that allow 360 ° views of the surrounding Sibillini Mountains and the Adriatic Sea. 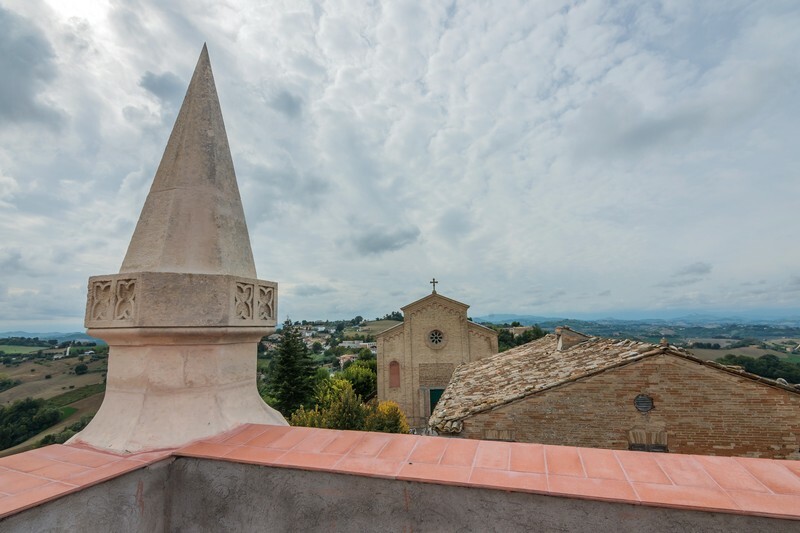 Its location is also exceptional, as it is located in a lively medieval village, with a theatre, restaurants and shops, but it is still only 20 minutes from the sea. 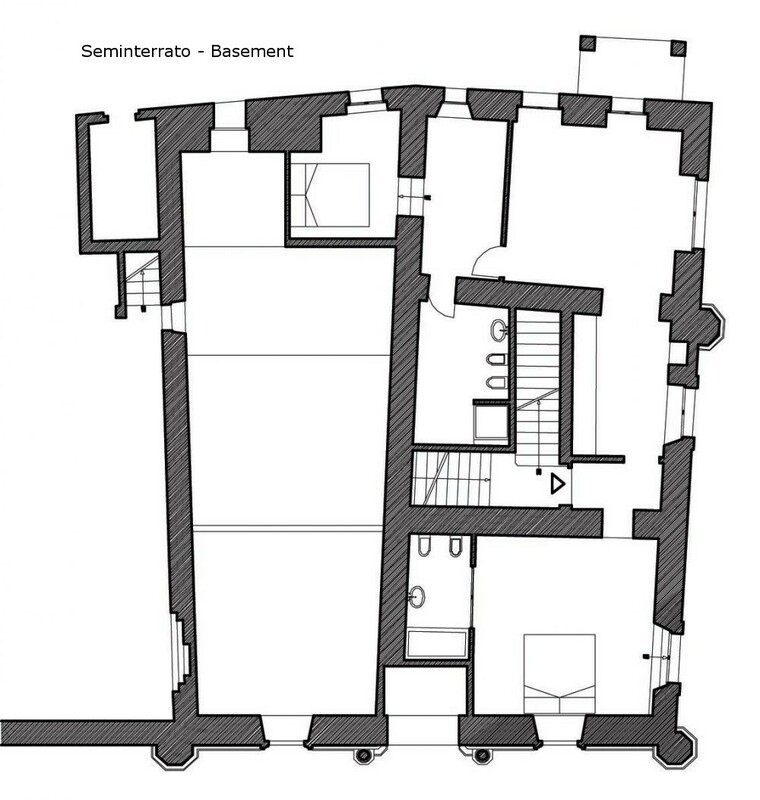 The property is on five floors: the basement, the ground floor, first floor, second floor and third floor, which gives access to the roof terrace of 60m². 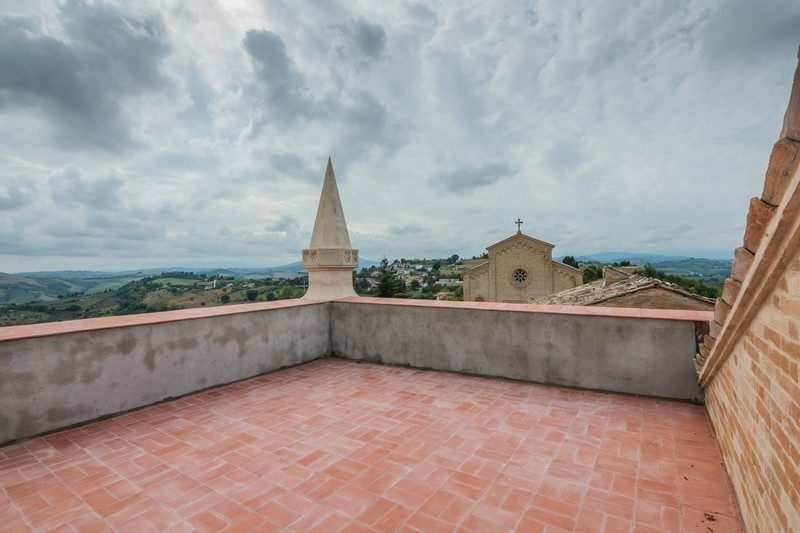 The property includes a sunny walled garden of 600m², the largest in the village, which guarantee privacy. 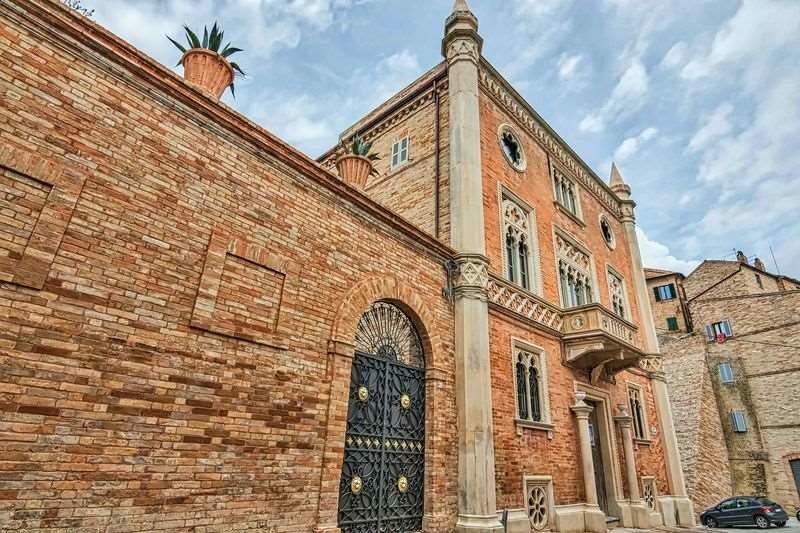 The entrance to this wonderful garden is through a couple of wrought iron gates with lion masks made of lead (the town arms of Venice). 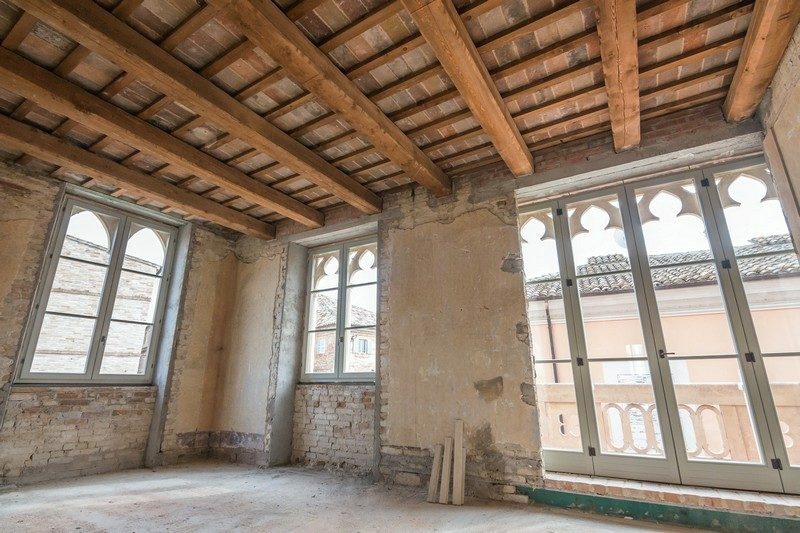 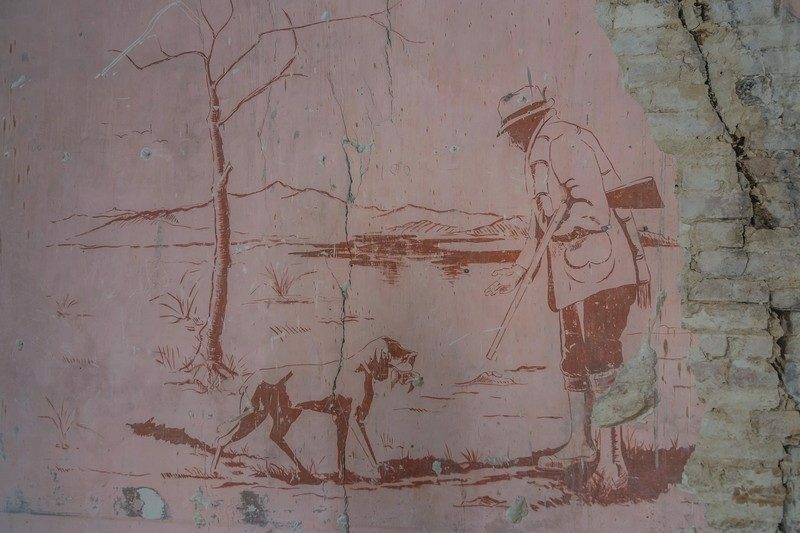 The building has been carefully restored, respecting its original features. 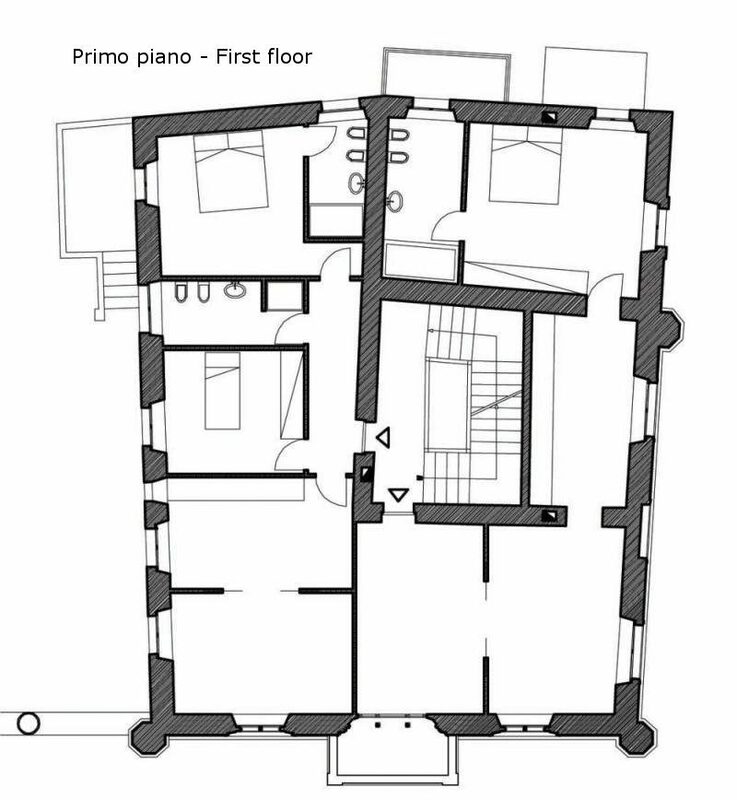 Inside it is still unfinished, with partitions and systems still needing to be done in order to maintain flexibility of use. Electricity and water are already in place, with gas very close, being in the city centre. Luxury historical building for sale in Le Marche, in a lively medieval centre in the heart of Le Marche, with a theatre, several restaurants and shops for your convenience. 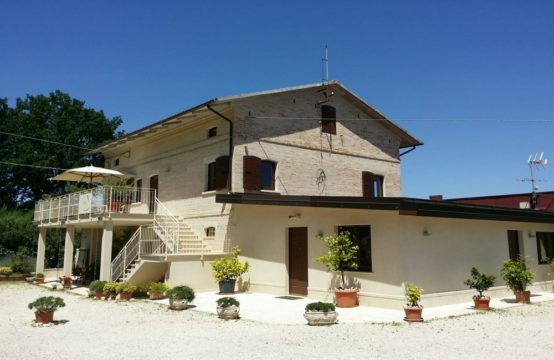 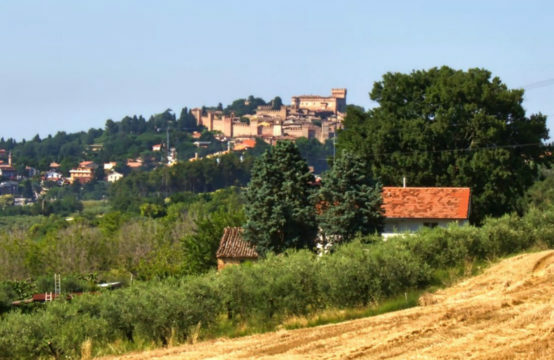 It is just a 20 minute drive from the sea and 30 minutes from Sibillini Moutains. 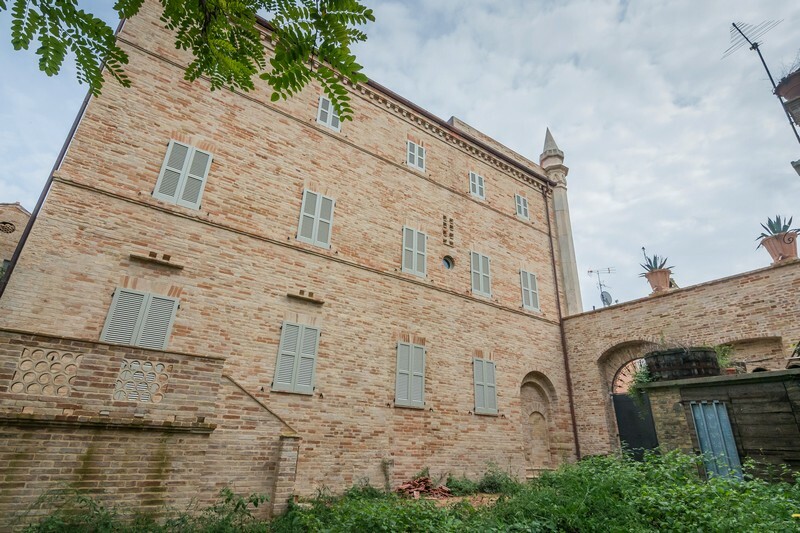 Ancona airport is about 1 hour’s drive away. 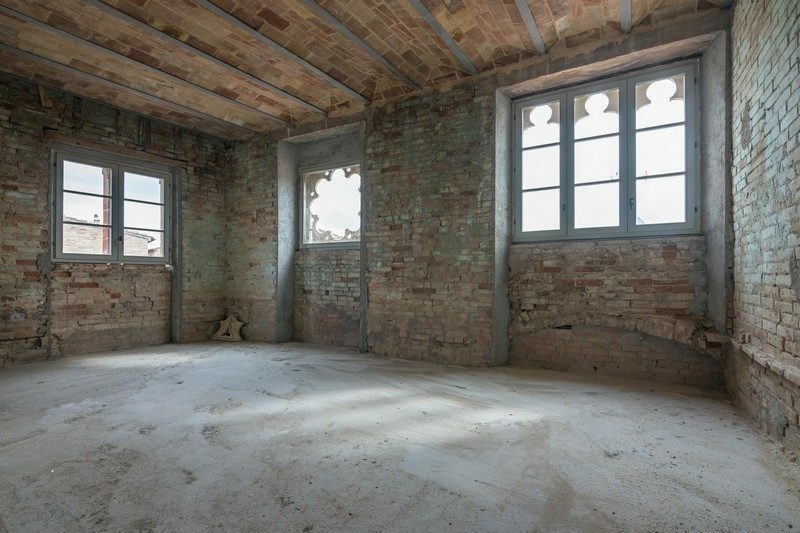 This property is ideal as a single owner residence, or alternatively as a luxury hotel or even divided up into seven individual flats.